The Franklin Series is a premium quality, lightweight, gray concrete masonry unit manufactured for use in high-end residential and commercial construction. All units under this trademark ensure both the designer and the masonry contractor a high-quality, lightweight product that will meet the most demanding project requirements. Beyond their impeccable appearance and lightweight feature, they provide the strength and durability afforded through Block USA's standard gray block line. Gray masonry, like all CMU's, are GREEN building materials and can contribute to LEED building points. They are available in a multitude of shapes, sizes, strengths, and weights. 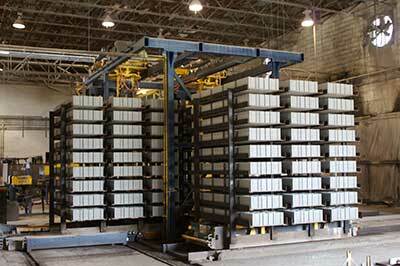 As with all concrete masonry units (CMU), gray block is strong and weather resistant. It does not rust, nor warp, nor does it provide a home for mold or insects. Our unique 4-day curing process provides consistent moisture content.